Have you ever looked at a bearing catalogue and felt like you were reading a foreign language, with bearing tolerances written in a series of letters that you’re sure are supposed to make sense? At Emerson Bearing, we want to help you choose the right bearing for your application. That is why we’ve prepared this blog post to help you decipher the language of bearing tolerances. Tolerances of dimensional accuracy are a measure between the target value and the actual bearing dimension, also called the permissible dimensional deviation. Measurements are usually taken along one plane. The symbols for the mean bore and outer diameter tolerances are dmp and Dmp. Form tolerances determine how much a bearing can deviate from the ideal shape (ex. cylindricity, perpendicularity, etc.) and they are indicated by the letter V. So, the maximum variation in the mean bore and outer diameter tolerances are denoted by Vdmp and VDmp. Dimensional and form tolerances are important for determining appropriate shaft and housing fits. Running accuracy refers to the tolerances that relate to how accurate the bearing is while running. It includes radial, axial, inner ring side (Kia) and outer ring side runout (Kea). When choosing a bearing it is important to consider running accuracy tolerances at the design stage in order to minimize vibration and misalignments in your assembly. Bearing tolerance standards also denote the amount of precision in a bearing. For most applications, bearings of normal precision (ABEC1/P0) will do the trick. However, for machining tools, measuring instruments, and other special applications (generally requiring high speeds, quiet running, or high operating accuracy) bearings in classes with tighter tolerances are required. 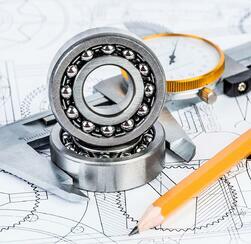 The precision of a bearing is specified by the progressive number in a bearing’s tolerance class. For ISO 492 standards the higher the number the higher the bearing precision. For DIN 620 standards, the lower the number the higher the bearing precision (except normal tolerance, P0). 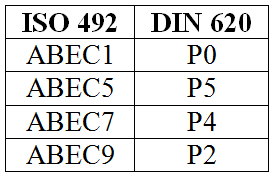 Table 1 shows how ISO and DIN standards correspond to each other in order of increasing precision. At Emerson Bearing we are here to help you find the right bearing for your application. We can help you decide what kind of bearing tolerances and precision you need. Contact us today or visit our Catalog and Art of Precision Bearings eBook.